Belfast MCM here we come... and another great WesterNoir review. This weekend we'll be at the MCM Belfast event, we had such an enjoyable time at the last Con we couldn't resist. Do pop over to the table for a chat if you're in the area. 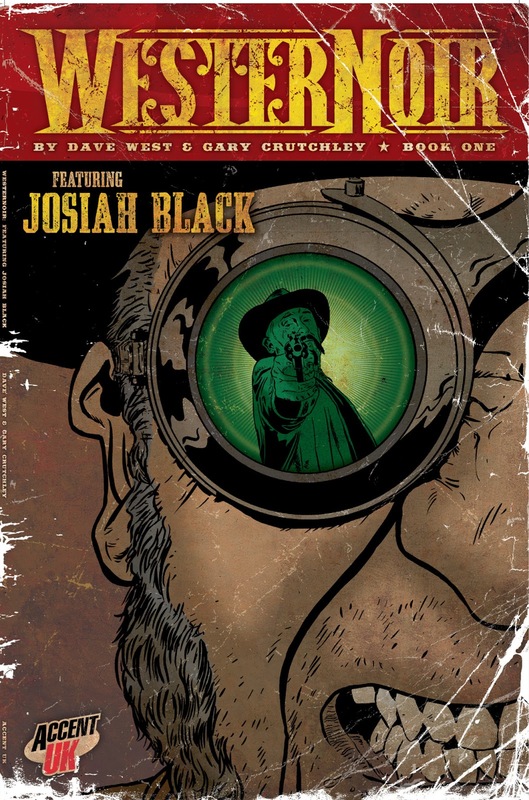 Also, there's a great review of the first issue of Tales Of WesterNoir over at Down The Tubes. Accent UK have been to a good number of 'first time' Comic Conventions over the years, and we always expect them to have their organisational and logistic problems. We always expect attendance to be a little lower than we'd like and therefore do no expect great sales. You have to allow these Conventions the room to breathe and grow, so there really is no value in giving the organisers a hard time. So, expectations low, Accent UK (Me, Colin, Gary and Jemma) were pleasantly surprised that this convention was, without a doubt, the best 'first time' Comic Convention we'd ever been to. The advertising beforehand was impressive. The organisation on the day seemed to be flawless. The way the organisers treated the guests and exhibitors could not have been better. The number of customers...., well, OK, the number of customers were actually typical for a new Con. The numbers weren't fabulous, but that said, there was always a steady trickle of people wandering around, stopping at the stall, chatting about our comics and buying stuff. expectations before the doors open. The quieter Cons allow us to meet our creative friends, sometimes for the first time in the flesh, which is always great. I won't try to list everyone but it was great to chat with Dave Hitchcock, usually we are both too busy to spend much time talking but at this Con our tables were back to back, Matt Soffee (who is doing such wonderful work colouring our WesterNoir covers, Andy Winter (who has been away from the comic scene for quite a while now) and Patrick Scattergood (who makes his own comics as well as reviews those of the likes of Accent UK). A quieter Con also lets us have more time to chat with the people the other side of the tables, as the whole thing moves at a slower pace. All in all we had a really enjoyable day, and for the record we sold 4 times as many comics as at any of our other 'first time' Conventions. I think this Con is going to grow into one of the great Cons and we've already signed up to come back next year. Accent UK titles on sale in Macclesfield. 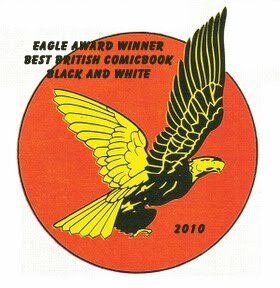 Last weekend I took some Accent UK stock to a new comic shop that has opened in Macclesfield (on Chestergate), The Comic Geek Shop, so if you're local and would like to try out our books then pop into the store. It's great to see new stores popping up, and even better when they're fairly local. 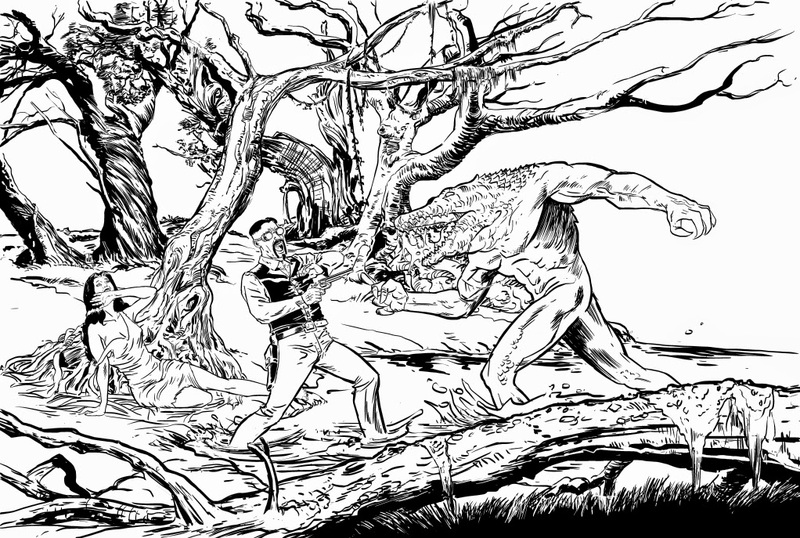 Birmingham Comics Festival next weekend, and other stuff. 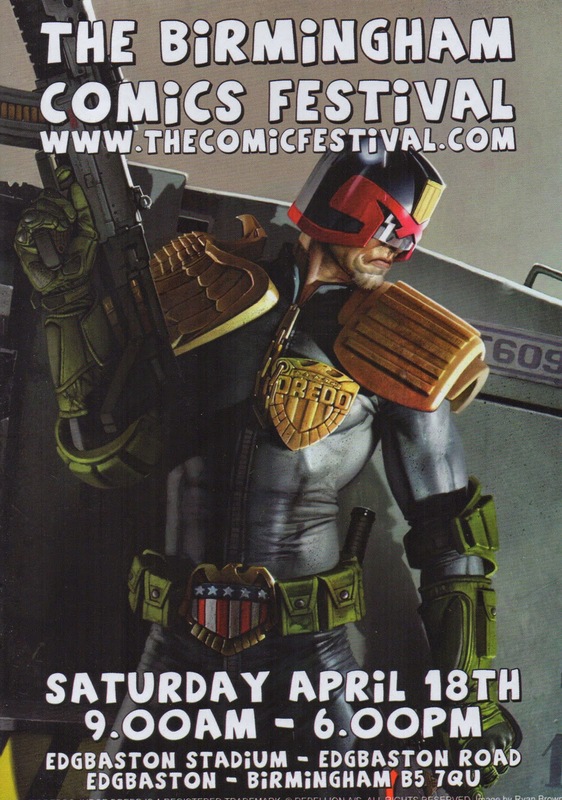 It's been a busy few weeks and now we're all focused on next Saturday's comic festival in Birmingham. It's the organiser's first event but they've certainly been putting in a lot of time and effort promoting the event through the web and SFX magazine. It should be great. We'll be giving away a free print to the first Magnificent Seven customers who buy a complete set of the first WesterNoir mini-series (4 issues), and as usual there'll be plenty of other great books to pick up, including the first issue of our new 7 issue Stephenson's Robot series, with limited edition Tarot Card.